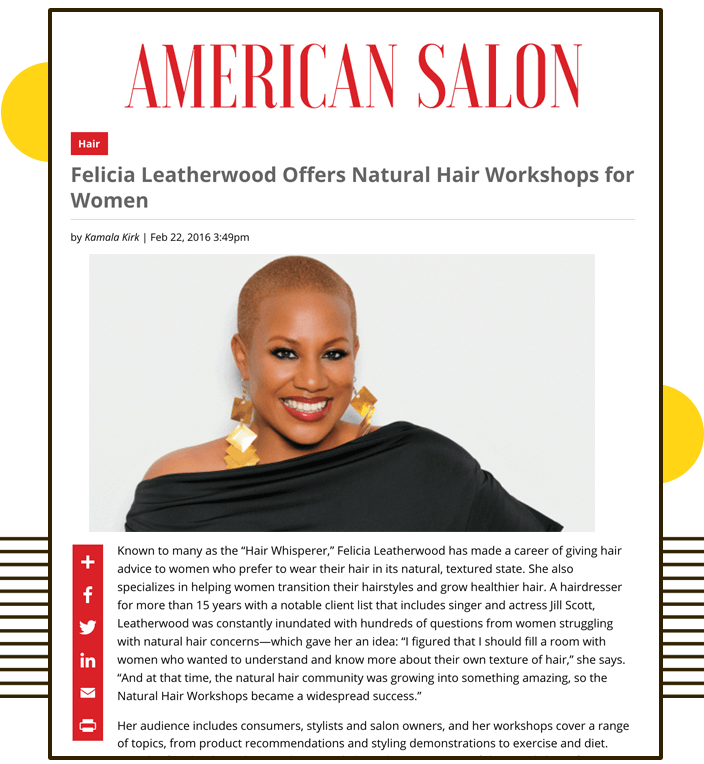 Felicia Leatherwood is widely recognized as Hollywood's best hairstylist to the stars, and has been featured in numerous publications in print, online and on television. 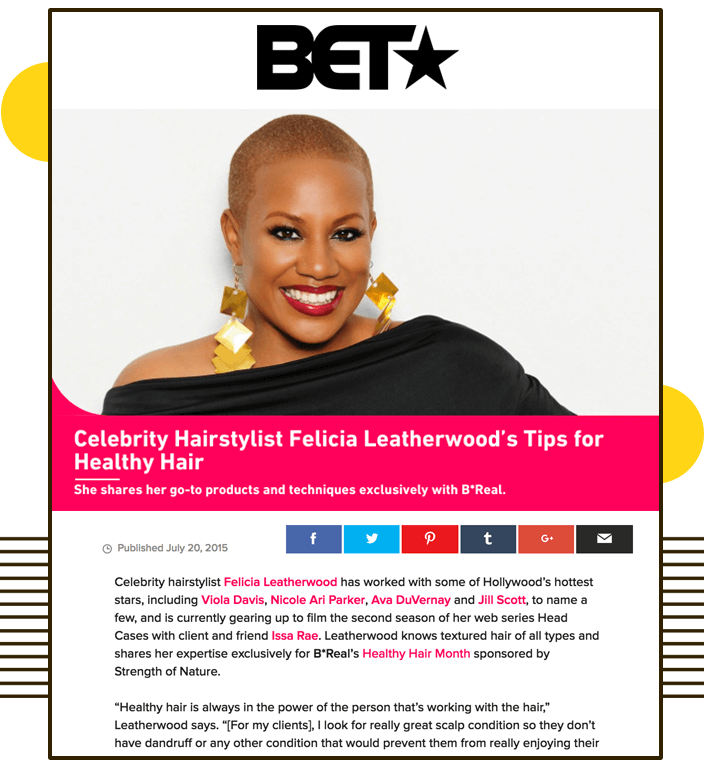 Her work with celebrities like Issa Rae and Ava DuVernay has graced red carpets of the golden globes garnered attention from outlets like Vogue, Essence, BET Networks, and many more. 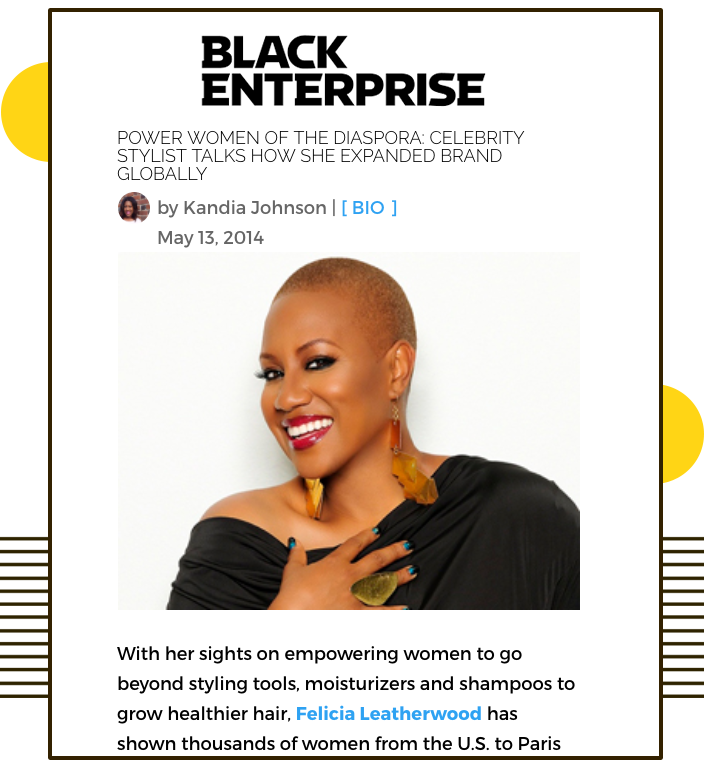 click the articles below to access the content!